When it comes to cleaning your home, you likely rely on your standard upright or canister vacuum to ensure that your carpets and floors are looking their best. But what about your car or garage? If you’ve ever tried to use your upright for concrete or other outdoor surfaces, you probably found that it wasn’t built for that kind of cleaning work. Fortunately, there is a better solution. With the best shop vac, you can keep every part of your house, car and garage clean and tidy with minimal effort and maintenance. These versatile machines allow you to make short work of any mess, whether it’s a pile of dirt or a nasty spill. Overall, having a high-quality shop vac in your home is going to allow you to do so much more to keep your spaces in pristine shape. Today we’re going to showcase some of the most vital features to look at when picking out the right model, along with providing you with some high-quality examples, lets get started. As you go through and look at various models, you may refer to all of them as a “shop vac.” Although this seems natural, the fact is that there is a brand called Shop-Vac, so it’s imperative that you understand that there is a lot of variety of different companies out there. Fortunately, though, Shop-Vac is one of the top brands you can find, so even if you limited your search to only this name, then you would probably be able to see something worthwhile for your garage or vehicle. In this case, we’re looking at a moderately sized unit. With a five-gallon container and a 4.5-horsepower motor, this Wet Dry Vac is capable of doing a lot of cleaning. One feature that we’ll see a lot of on this list is wet/dry capability. What this means is that you can vacuum liquids as easily as you can dirt, dust woodwork shavings. In many cases (including with this particular model), you’ll have to switch or remove the dry filter when handling liquids, but it should be a simple adjustment, so it’s still convenient. 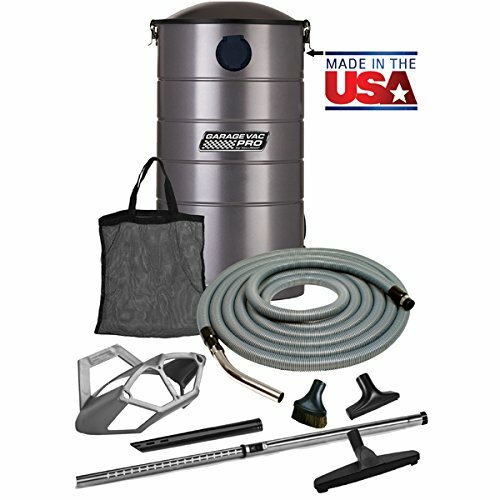 Overall, we really like the durable stainless steel construction, the power of the massive motor, and the versatility of the hose and six attachments that come with this Wet Dry Vac model. Regardless of the kind of cleaning you plan on doing, you should have no issues with this shop vac. As we’ll find out when going through this list, one of the essential elements to pay attention to on your search is the size of your shop vac. 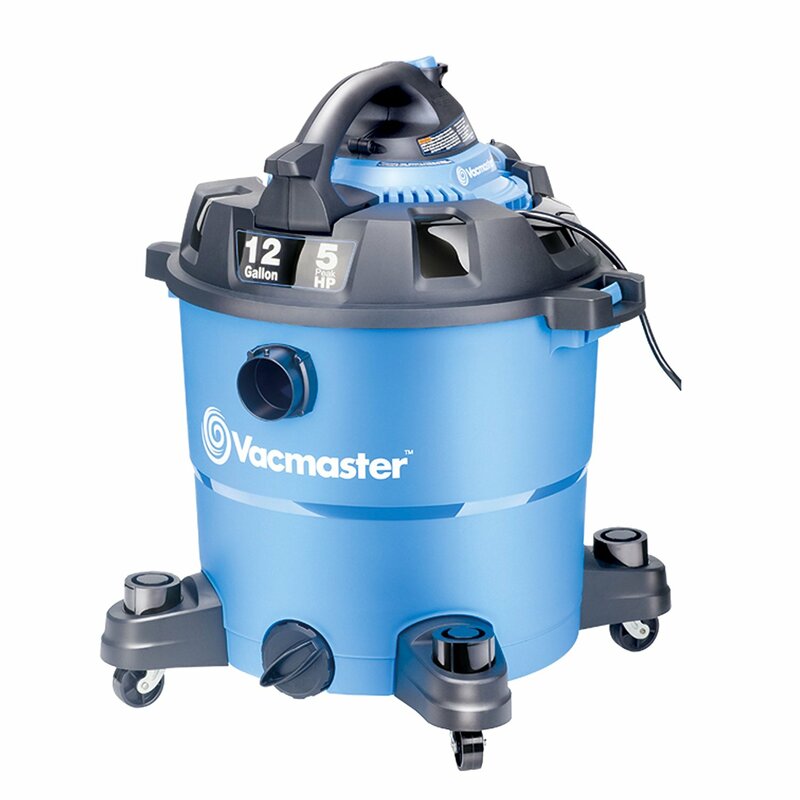 With this Vacmaster, you can take care of many different jobs. With a 12-gallon tank and a five-horsepower motor, this is one shop vac that is both robust and reliable. As with most shop vac this unit has both wet and dry capabilities. However, what makes it unique and more desirable is the fact that it comes with a reusable foam filter. The reason why we like that is because you can work on both types of messes without having to switch to a new filter every time. Also, the reusable material will save you money in the long term. One feature that this shop vac has that the shop vac above didn’t is the drainage port. Since you can use this model for all kinds of liquid messes (i.e., flooding), it’s nice to have the ability to drain all of the water out without having to turn the whole thing over. If you’re familiar with this brand, then you most likely know that the company makes a lot of high-quality consumer-grade power tools. 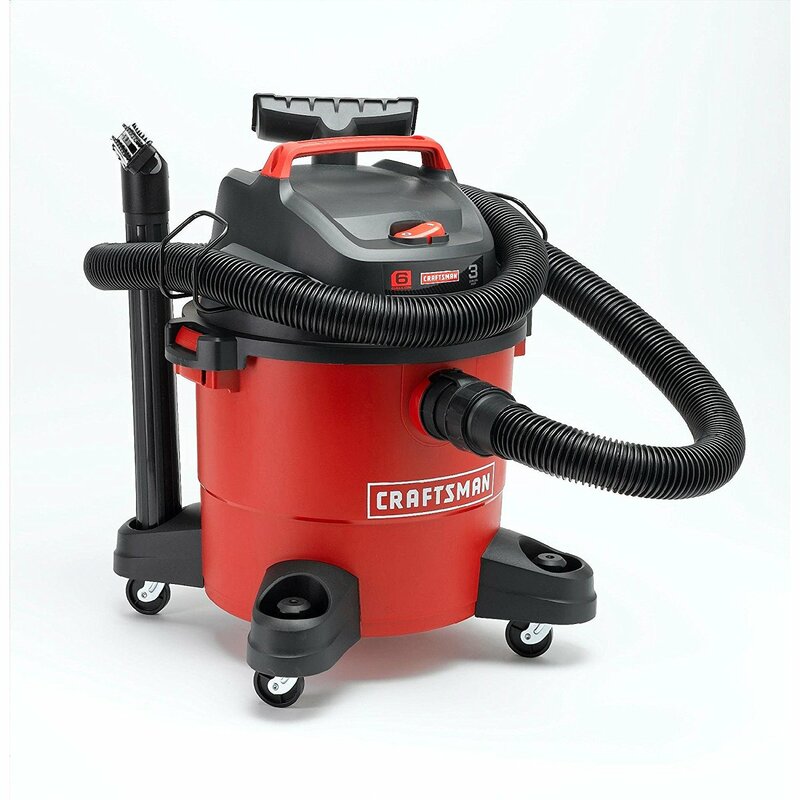 However, when it comes to Shop Vac, Craftsman is also adept at creating some reliable machines that can help you with a variety of cleaning jobs. The 12004 model, in particular, is perfect for small to medium-sized cleaning needs, so this Shop Vacuum is perfect for most households. When comparing its performance, you’ll notice that it doesn’t have as much power or storage capacity as other units. A three-horsepower motor drives this shop vac, and it comes with a six-gallon tank. Nonetheless, that is more than enough to handle the bulk of your cleaning. One nice advantage of a smaller size is that it’s easier to store and isn’t as cumbersome or heavy when trying to move it to your next cleaning spot. Overall, this shop vacuum is well-built and comes with some excellent attachments. Although it’s not made for professionals, it will work great for most casual garage and vehicle cleaning. As we will see on this list, there is a mixture of high and moderate-capacity machines out there. If you’re looking for a quick and simple method of keeping your garage and vehicles clean on occasion, then you will want something small and modest like the Craftsman above. However, if you have a workshop and you generate a lot of d​ust and other messes, then you’ll need something like this model from Workshop. When running down the list of specs, it’s easy to see why this shop vac is perfect for professionals. A 6.5 horsepower motor allows you to suction wet or dry materials easily, and a massive 16-gallon tank enables you to go longer without emptying it. Fortunately, though, there is a built-in drainage port on the bottom, so when the time comes, you don’t have to worry about tipping the whole thing over. 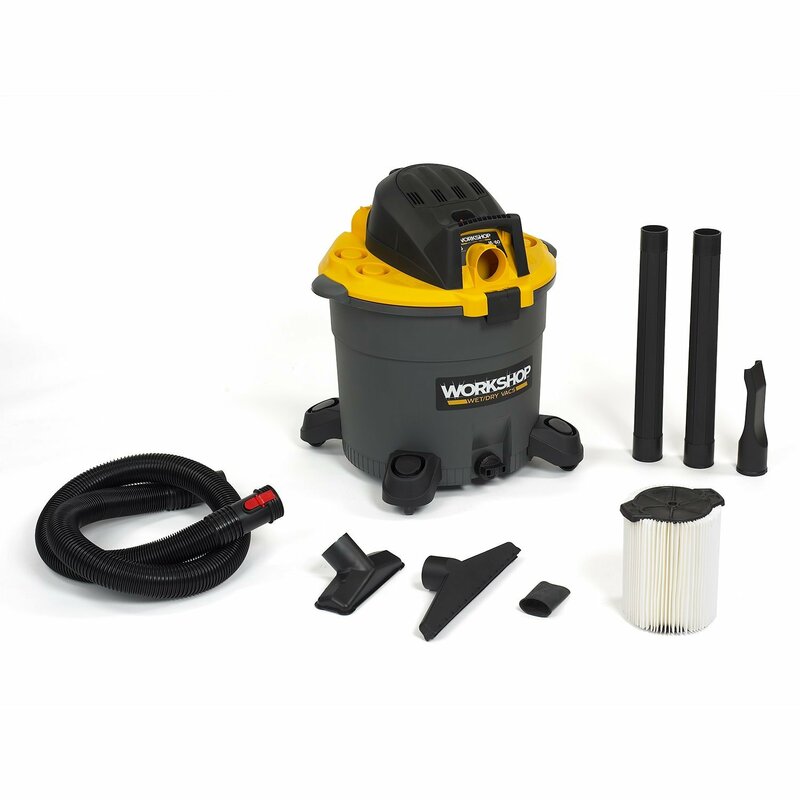 Workshop is one of the better brands out there for these kinds of shop vac, and part of the reason is that they are run through a series of tests to ensure longevity and performance. Overall, this Shop Vac For Home Use is rated to last almost 1000 hours without any significant motor maintenance. In case you’re not familiar, this is better than most other models out there. One component that comes with a lot of shop vac is a set of caster wheels on the bottom. These allow you to move the shop vac around easily and bring it to wherever you need it, whether it’s cleaning a hard-to-reach spot in your garage or the various nooks and crannies of your car. Although having a mobile shop vac is excellent for a lot of reasons, if you’re short on storage space, it could be more of a hassle than anything. Thus, if you have a tight garage and you want a centralized shop vacs system, you will appreciate this model from VacuMaid. What sets this model apart from the rest is that it mounts to the wall. However, if you’re worried that won’t be able to reach as far or clean as much, you can rest easy knowing that it comes with an extra-long 50-foot hose. Usually, a hose that long ensures that you lose suction along the way, but fortunately this shop vac has a robust motor that keeps it going strong. When comparing different brands and models, we have to say that one of our top picks is always going to be DeWalt. This company is synonymous with high-quality products, and this wet dry vacuum is no different. What also makes this shop vac special is the that it’s both cordless and lightweight. We’ve already seen what it takes to have a massive shop vac Wet Dry Vacuum that can work on professional-grade messes and spills, but what if you need something a bit more portable? At just 11 pounds, this model is the ideal solution. You can carry it wherever you need it to go, and it won’t cause fatigue. What we like about this unit is that it can either run off of the high-capacity battery, or you can plug it in and have it work like a standard version. Both methods are reliable, although we have to say that the battery life is somewhat limited, so keep that in mind. When it comes to keeping your vehicle clean, Armor All is a company that can help you make the most out of your car or truck. Although most of us are familiar with the cleaning products like wipes and glass cleaner, the fact is that Armor All also takes care of physical messes with this handheld and portable shop vac. Once again, this Wet Vacuum model is designed for quick and easy cleanups. Rather than lug a giant 12 or 15-gallon shop vac around for small piles of dirt and debris, you can carry this modestly-sized unit to get the job done. One of the proprietary features that comes with this model is the automatic shutoff function. This ability prevents the wet vacuum from overflowing and leaking dust or water all over the place. Since the tank is only 2.5 gallons, this feature can come in handy more than a few times during its lifetime. For the most part, the shop vac are made for all-purpose cleaning. This means that all of the components, from the motor to the filters, are built for a wide variety of materials, from dirt and dust to more substantial pieces like screws and bolts. However, if you have to work with specialized powder, such as that produced by drywall or concrete, then you want a shopvac that’s made to handle it. Overall, when comparing this model to others, you’ll notice that it has a remarkable filtration system. It’s two stages, which ensures that the smallest particles stay trapped inside. Best of all, the filters work with both wet and dry spills, so you don’t have to worry about switching back and forth as needed. Performance-wise, this shopvac is perfect for anyone who is concerned about dust belching back into the air, even if you don’t have to work with large amounts of fine particles. On the dry side, we saw how a company like Dustless Technologies has built a shop vac that’s perfect for fine dust and other materials. On the wet side, however, you need something like this unit from Shop-Vac. Not only is it larger and more powerful, but it’s built to handle volumes of water and other liquids. If you have to deal with flooding a lot, or you want to be able to process a ton of water at once, then this is the best model to get. 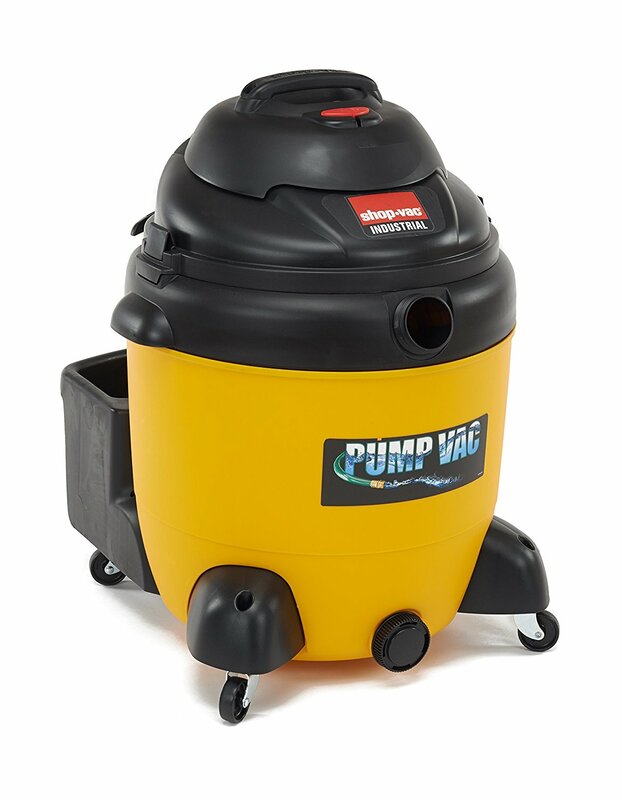 The massive 20-gallon capacity enables you to work efficiently, and the robust motor allows you to suction up to six gallons per minute, making the job go by faster. Finally, there is a large drainage port on the bottom so that you can empty it quickly when the time comes. Our final shop vac is a centralized design that works well for small garages or workshops. This unit from Bissell is wall-mounted, making it ideal for many different applications, particularly if you have limited space or storage. To ensure that you don’t lose out on performance and versatility, this shop vac comes with a 35-foot flexible hose, as well as a robust motor to keep the suction high. 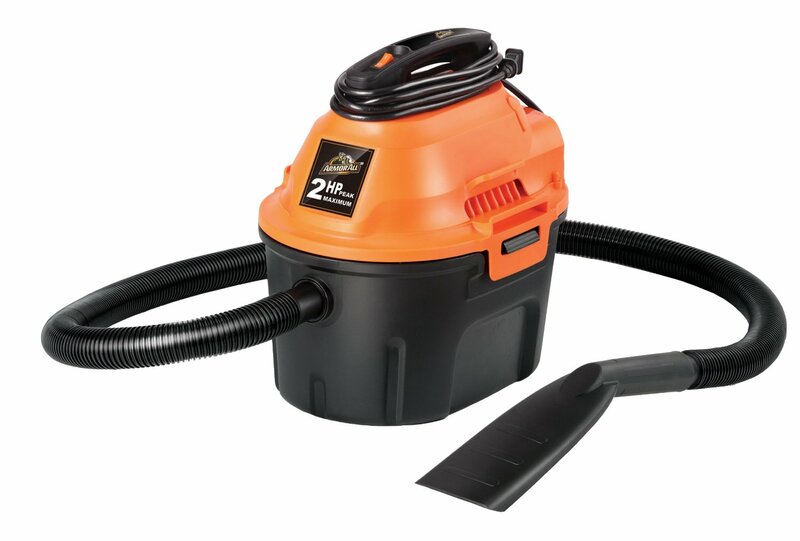 This model is a smaller shop vac than others at four gallons, but it’s ideal for many small jobs. Best of all, it comes with a light indicator to show you when the tank is full, ensuring that you never overfill it or cause problems. Whether you’re looking for something for the household or you’re a professional worker who generates a lot of messes, it’s critical that you pick the right size for the kinds of jobs that you have to do the most. On the small end, having a portable shop vac for light spills and cleaning jobs is perfect for most situations. In this case, you want something with a 2-4-gallon tank so that it’s easier to carry or push around. For more significant and more professional jobs, you want to have at least 10 or 12 gallons. In some instances, you can even go higher, such as to 16 or 20 gallons. These big vacuums are perfect for pros who need to clean a lot more frequently. Convenience is a huge part of buying a shop vac, so you want to be sure that it will work for your conditions. Wall-mounted options are perfect for garages or shops that are low on storage space or square footage. On the other hand, having a wheeled model is ideal when you need to get into tighter spaces, or you need more flexibility on where and when you can clean. Messes happen in all shapes and sizes, so you don’t want to be limited by your vacuum’s capabilities. 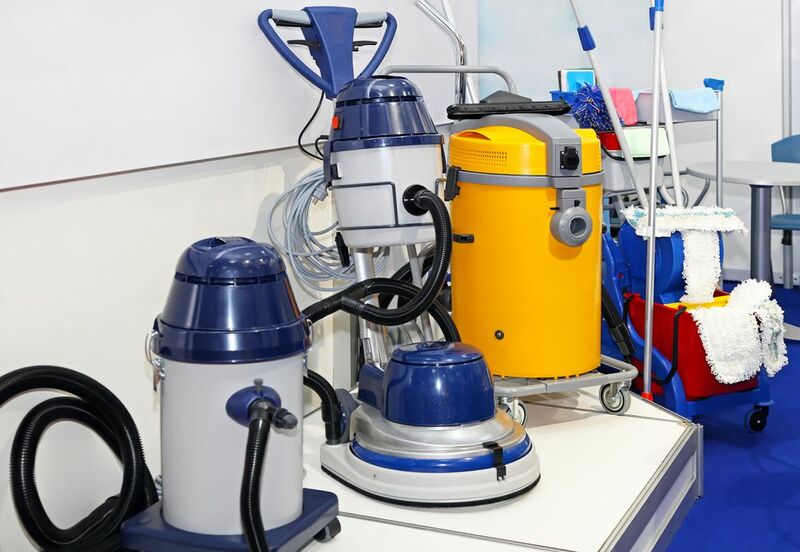 Most of the best shop vacs can pick up dry and wet materials, which enables you to clean much more often and with better results. However, in some cases, you will have to switch between filters, which can be a little inconvenient. Suction is another critical element of any shop vac, as it’s what is going to provide you with the right level of cleaning power. Although other aspects like hose length and wet/dry capabilities can affect performance, you want to find a motor that is built to handle the kinds of jobs you do most. On the small end, 2-3 horsepower is ideal. For more extensive or more frequent cleaning, you want to upgrade to at least five or six horse power. We’ve seen a lot of the best shop vac on this list, but we have to say that our top picks are going to be the Workshop model or the Shop Vac 5-gallon. Both of these units are perfect for almost any job (big or small), without getting too bulky or cumbersome. Not only that, but they are reliable and will last for years to come. 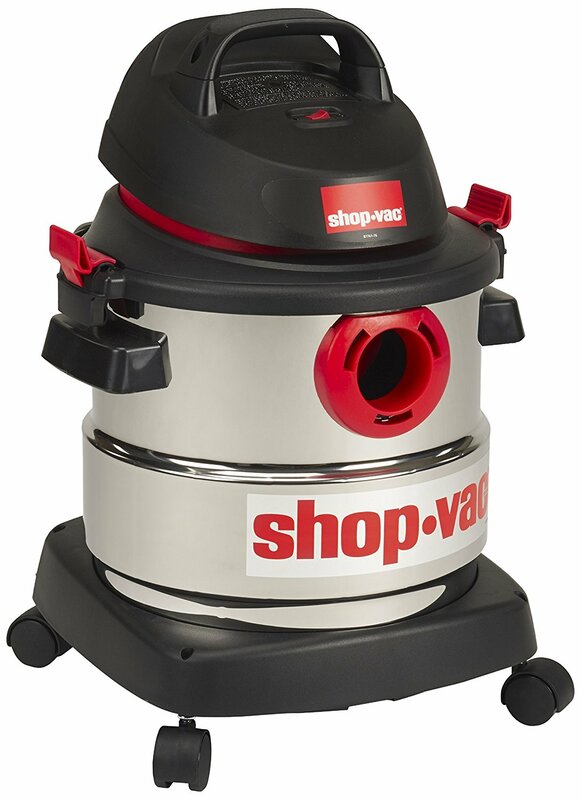 Regardless of your cleaning needs, either one of these best shop vac units will be ideal. Note: If you are looking for reviews on the best car vacuum we've got it covered. Previous Post Best Shop Vac For Woodworking [Complete Guide with Top Picks] Next Post Best Robot Vacuum Under $200 – What Are Your Choices?